Whittlesey and Hadley P.C. 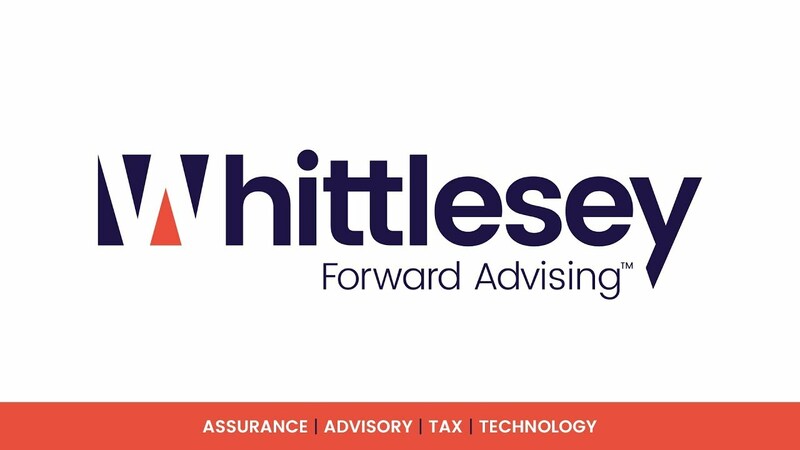 has rebranded, changing our name to Whittlesey, after our firm’s founder. For more than 55 years, we have had the privilege to serve and grow with our clients. We went from a small firm on Lewis Street in Hartford to a top 200 national firm with three offices across two states. Over the last year, we took a step back to celebrate our rich heritage and explore a modern, fresh way to communicate who we are now and how we help clients reach their goals. Today’s leaders are facing unprecedented challenges, from increased regulation to market volatility and digital disruption. The pressures to perform have never been greater. As we explored rebranding, we talked to our clients about what makes Whittlesey special and how we contribute to their business goals. We consistently heard our clients’ say they think of us as an extension of their leadership team—an accessible sounding board when key decisions need validation. Our third-party perspective and independence is valuable. We deliver accounting, technology and advisory services in the here and now, but we also look forward - advocating for the best interests of the business. Which is why we’re calling our process Forward Advising™. When the job and the resulting decisions are of critical importance, we are here to provide expert counsel in the areas of accounting, security, IT, and business structure. Thank you for visiting our website and learning more about our story. We look forward to talking with you. We provide expert services to a broad range of businesses and individuals.